Start by cutting off the sleeves. Turn the sleeves inside out and pin the end that you cut from the sweater. Sew it...in a straight line. Easier said than done (At least for me). I'm not that good at sewing. I've read several tutorials that tell you to wear the bottom of the sleeves (the part that sits at your wrists) at the top of your calves when wearing them as leg warmers. That didn't work well for me. Maybe I have big calves, but the "wrist" end of the sleeves were too small for my calves. So I wore them the opposite way - with the "upper arm" end at the top of my calves. And I used the same instructions from above. And finally, the crazy sweater - my mom bought this for my dad several years ago, but he refused to wear it. My brother said it looked like the knitting machine blew up when it was being knit. It probably did. (I also think he got that line from the Princess Diaries movie. He is proabaly going to kill me for saying that on my blog now). Ha ha. I also turned the sleeves inside out and hemmed the top, just like I did with the previous two sets, but the sleeves were huge near the shoulders. So when I turned these inside out to hem the ends, I also took in a couple inches along the side (the length, as in top to bottom) to get a better fit. 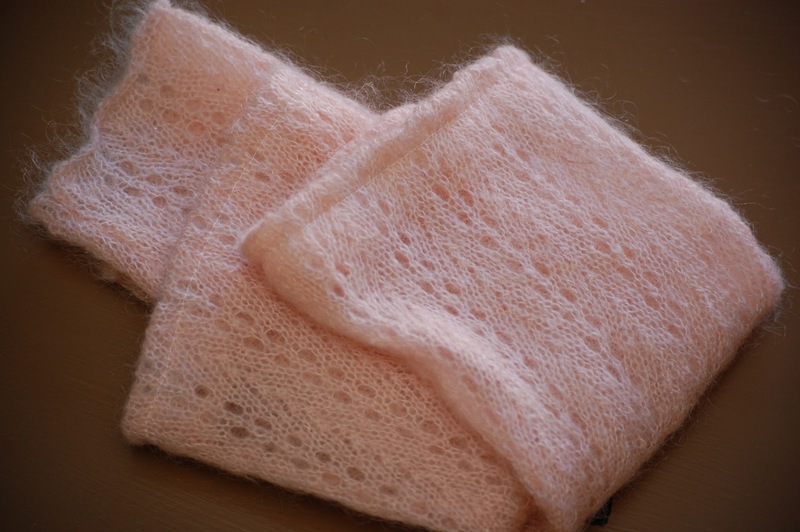 Be sure you also check out these tutorials on how to make a Hat and Mittens, Arm Warmers and Fingerless Gloves, a Sweater Vest and Infinity Scarf, and turn a Sweater into a Skirt. Ahhhhh! They look amazing. Boot socks are so expensive. I want to try this! Thanks, Angie! I've seen them all over the internet, but I definitely had to give these a try! 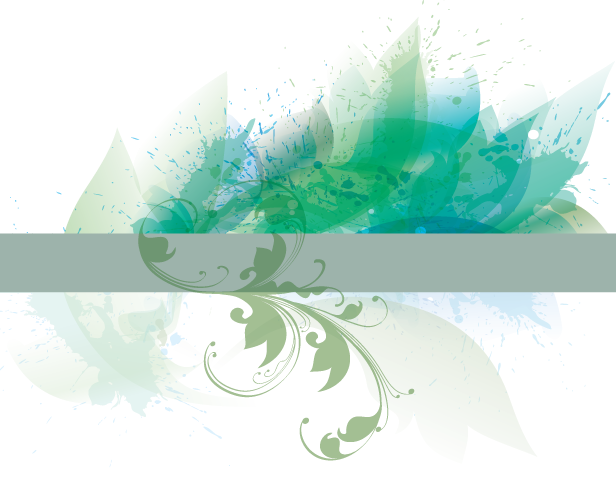 Kadie & April - I'd love to link up at your parties!!! I love these! So fun and you did so many! What a simple fun project! I am having a Homemade Year on my blog Blissful and Domestic and would love for you to link this up to my Homemade Year linky party. It is so great! All I can say is WOW!!! I can't believe how cute those sweaters look as leg warmers!!!! (especially that last one!!!) amazing!! Where are your boots from? They are super cute!! 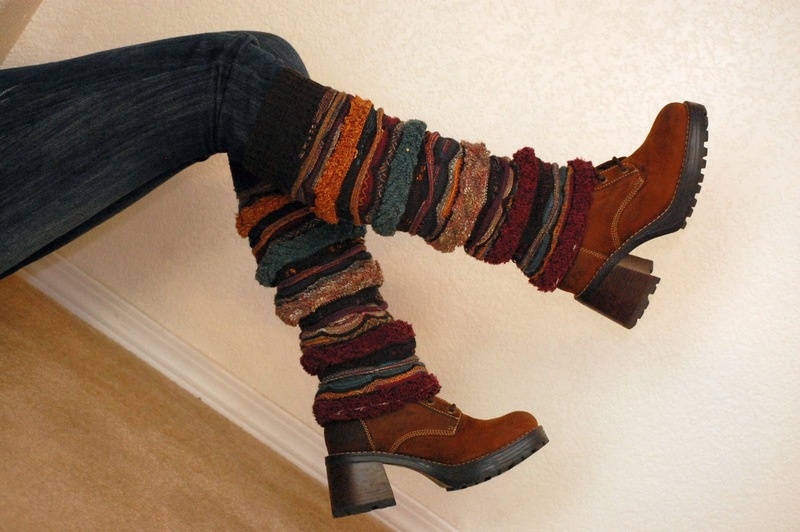 I like all three leg warmers but the last pair from the crazy sweater with the chunky boots is my favorite look. I never would have thought about making something out of that sweater but the warmers turned out wonderfully. Those are so cute!! I love them! And so simple to make too. I can't wait to make some! Thanks so much for Sharing at Link It Up Thursday.I really do LOVE these. Adorable! Put you on my FB page tonight! :) Thanks for linking! I have no excuse now not to make some of these great little goodies. I've been wanting to have some when I wear boots with a skirt, my old chubby calves get cold. You did such a great job of showing us how to make these. I've seen several posts about them this winter. I have fat calves so will do as you did, turn them upside down to wear. Your calves in photos certainly don't look heavy enuf to need wider socks. Need to go to thrift stores now to find sweaters to massacre for my leg warmers/boot socks. I haven't seen any boot socks in stores (haven't looked either) so have no idea how expensive they are, don't want to find out either. Why bother when a clever blogger like yourself has shown us all how to make our own for very little? Great post. Happy days.